We’ve heard a lot about iOS 8.3 and if you want to try it out for yourself, the update is now available for supported iOS devices. 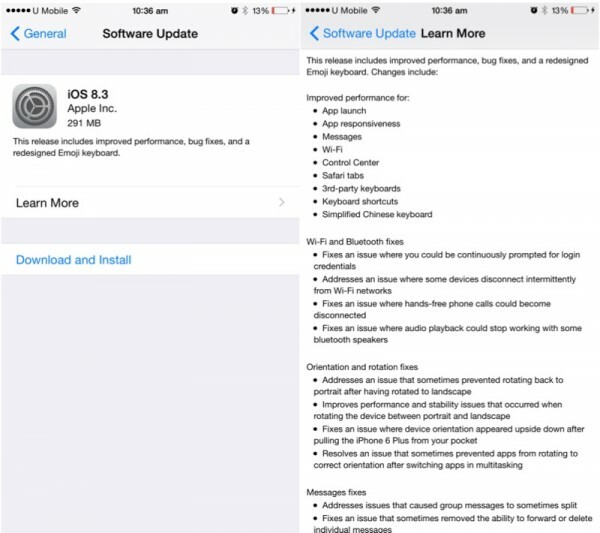 Apple has just released iOS 8.3 software update to the public, so check your iPhone, iPad and iPod touch now to perform the update. 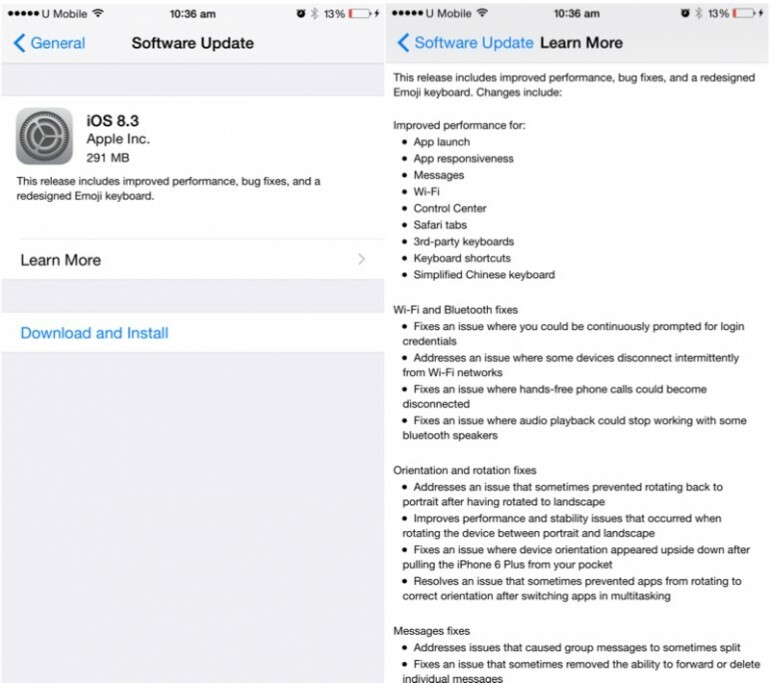 iOS 8.3 is worth about 300MB for OTA update, so you’ll want to be connected to Wi-Fi before you proceed. 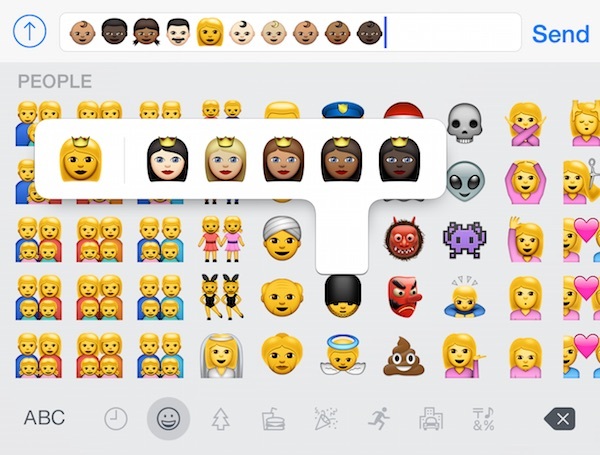 The update brings the much talked about new “diverse Emoji” keyboard with over 300 new emojis, as well as a bunch of other features and improvements such as new Siri languages, bug fixes and more. The new languages provided by Siri include English (India and New Zealand), Danish (Denmark), Dutch (Netherlands), Portuguese (Brazil), Russian (Russia), Swedish (Sweden), Thai (Thailand) and Turkish (Turkey). The update also addresses several issues, one of which is orientation/rotation bugs faced especially by iPhone 6 Plus users. According to the change log, the update has fixed an issue that sometimes prevented rotating back to portrait after having to rotate to landscape. It has also improved the performance and stability issues that occurs when rotating the device, fixed an issue where the device appears upside down after pulling the iPhone 6 Plus from your pocket, resolved an issue that prevented apps from rotating to the correct orientation after switching apps in multitasking menu, and more. Other notable changes includes the ability to download free apps without keying in a password, and new filtering options in Message app with the ability to report iMessages as junk.